The Jan. 12, 2010, 7.0-earthquake created massive destruction, prompting a huge influx of international assistance, with governments and aid groups arriving to offer both immediate help and long-term development. Recovery has been uneven at best, plagued by poor planning and accusations of graft. 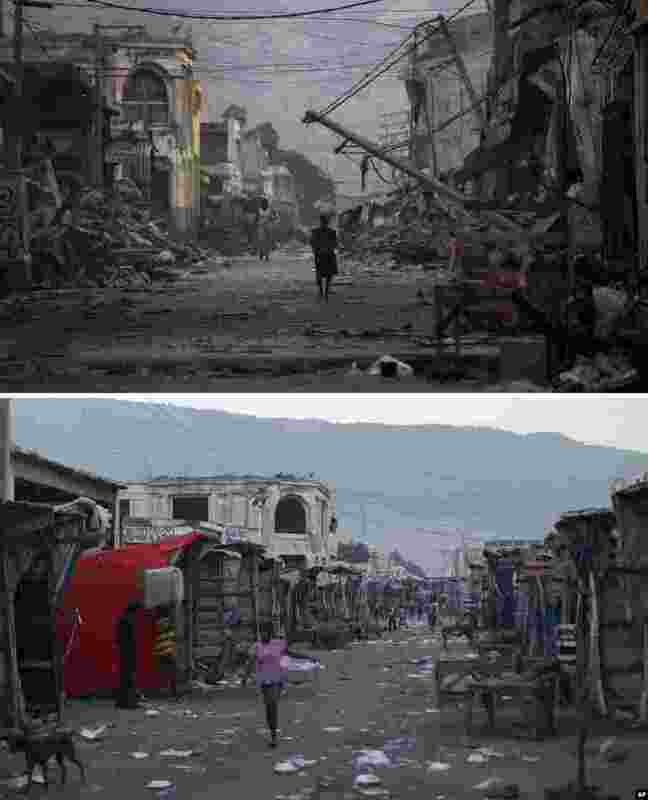 1 FILE - At top, Jan. 20, 2010, a street devastated by the earthquake that struck one week earlier in Port-au-Prince; below, Jan. 10, 2015, the same location. 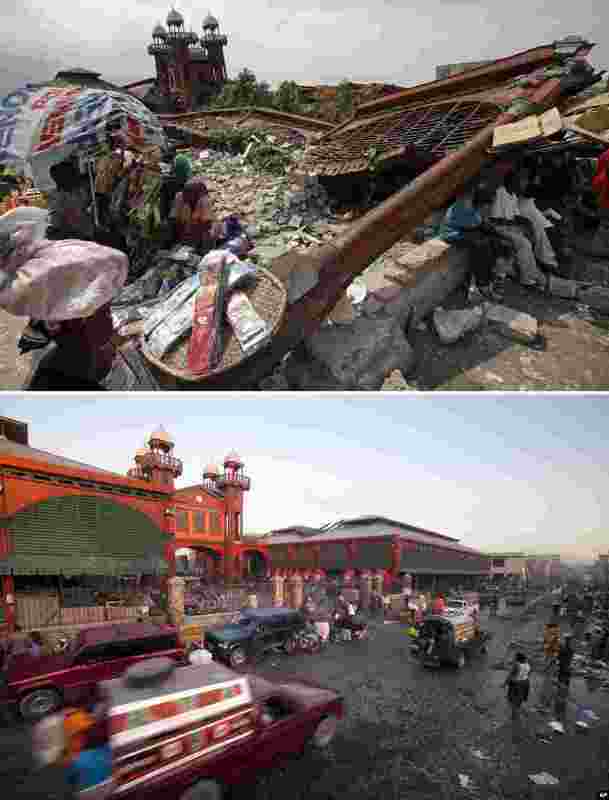 2 FILE - At top, Feb. 15, 2010, people sell goods outside the ruins of the old Iron Market, a month after it was destroyed in Port-au-Prince, Haiti; below, Jan. 10, 2015, the market has been rebuilt by Haiti’s biggest employer, mobile company Digicel. 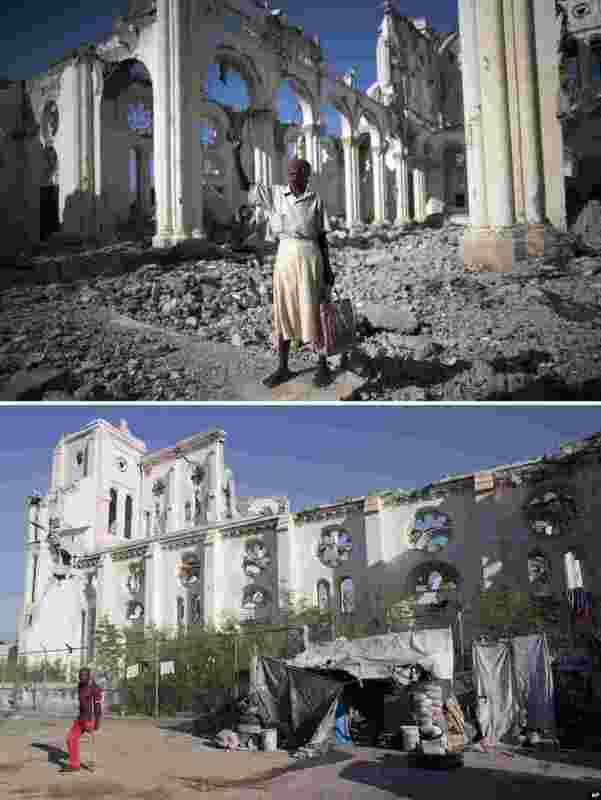 3 FILE - At top, Jan. 12, 2010, Marie La Jesula Joseph praying outside the Cathedral the day it was destroyed by a 7.0 earthquake that struck Port-au-Prince, Haiti; below, five years later, Jan. 10, 2105, shows the structure still in disrepair. 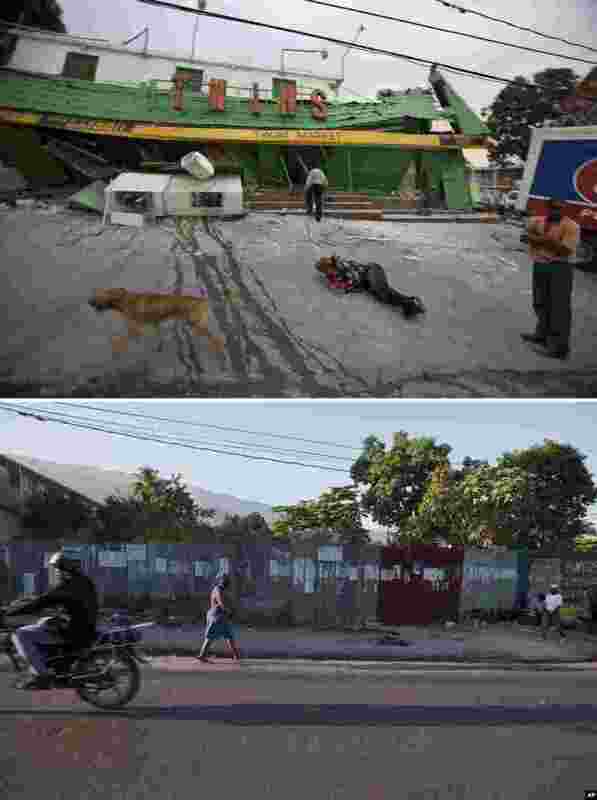 4 FILE - At top, Jan. 12, 2010, the Twins Market the day it collapsed during a 7.0 earthquake that struck Port-au-Prince, Haiti; below, Jan. 10, 2015, only a metal fence stands.